PFA was established to simplify the issuance of conduit bonds. These are tax-exempt bonds that are issued by a government for the purpose of making lower-cost financing available to a private entity for certain projects that provide a public benefit, contribute to social and economic growth, and improve the overall quality of life in communities throughout the country. The program is sponsored by the National League of Cities (NLC), National Association of Counties (NACo), League of Wisconsin Municipalities (LWM), and Wisconsin Counties Association (WCA). What Projects are Eligible for PFA Financing? What are the Benefits of PFA? Selling a bond issue is a complex financial transaction. There are many technical and legal hurdles that must be overcome to bring an issue to market. There also is a need to coordinate the work of many finance professionals involved in the transaction, satisfy regulatory requirements, and work with the private borrower. There are even responsibilities that must be met after the debt has been sold to preserve the tax-exempt status of the bonds and inform bondholders if there are any serious events affecting the borrower's ability to repay the debt. Many communities lack the staff resources or the expertise to issue conduit bonds. 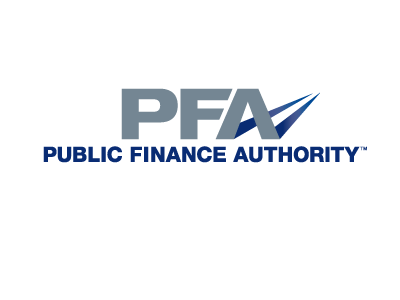 PFA assists local governments by serving as the issuer, ensuring that the necessary approvals are obtained, and obtaining state volume cap allocations from the dispensing state agency. In addition to obtaining lower-cost financing, the private borrowers can benefit significantly. Because PFA is authorized to issue bonds for projects in multiple states, only one bond issue is needed for multiple projects. This reduces borrowing costs for borrowers. Bonds issued by the PFA are exempt from federal income taxation. PFA is a Wisconsin-based governmental entity established by law in 2010 that is authorized to issue tax-exempt bonds for projects in all 50 states. Wisconsin was chosen by NLC and NACo because of its existing strong intergovernmental cooperation statutes and strong interest in the program by LWM and WCA. PFA has a seven-member board of directors: five members are city and county officials from Wisconsin representing the governments that are the founding members of the Authority. NLC and NACo each have a board representative. PFA is managed by HB Consulting LLC.